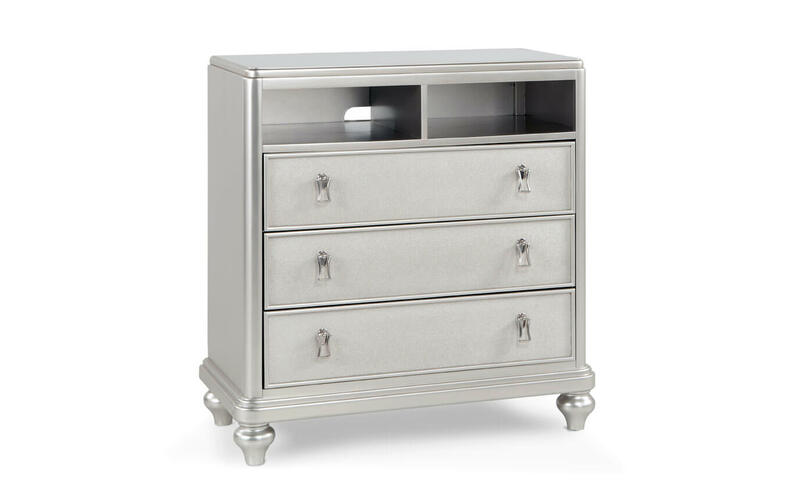 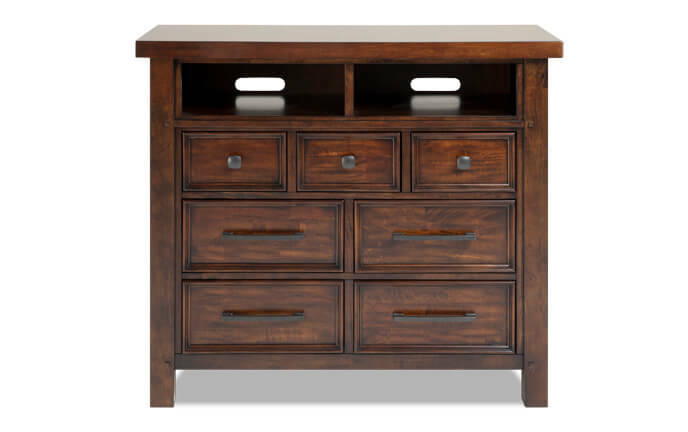 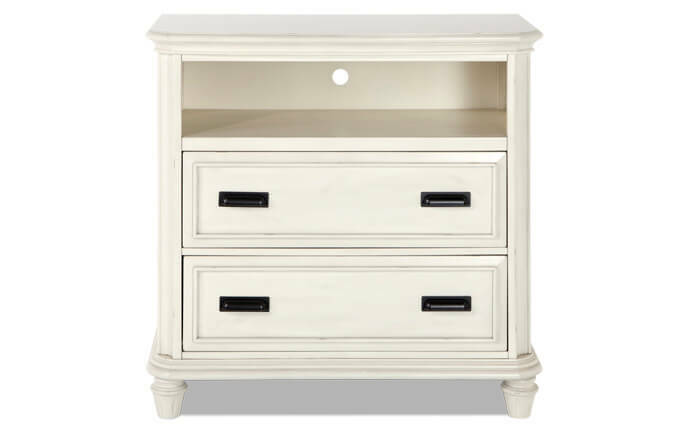 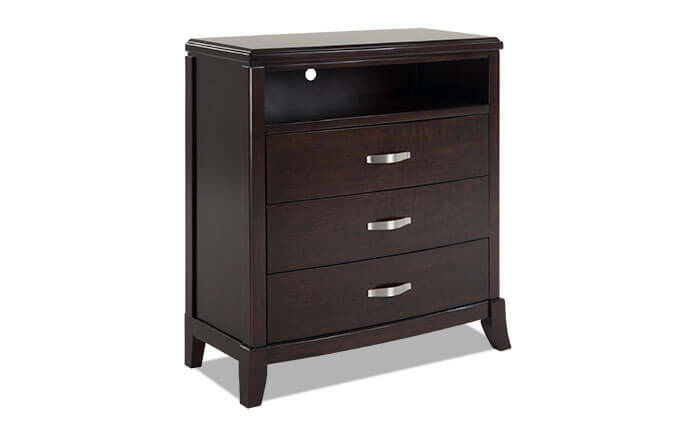 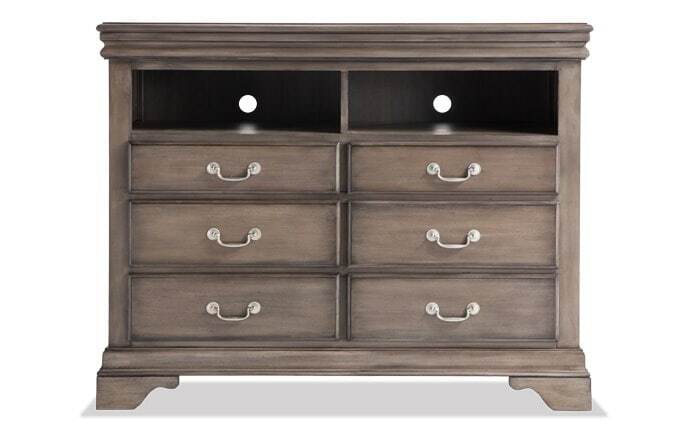 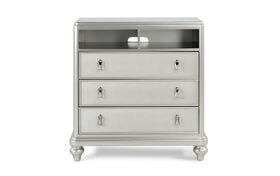 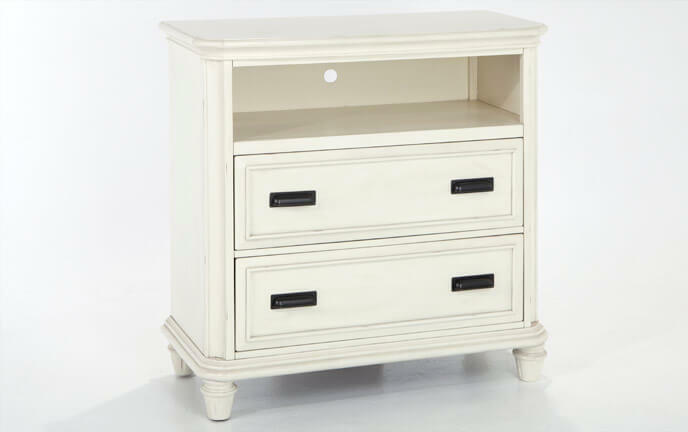 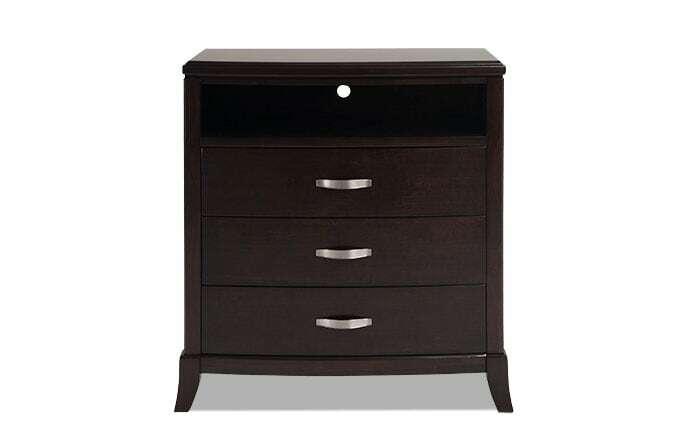 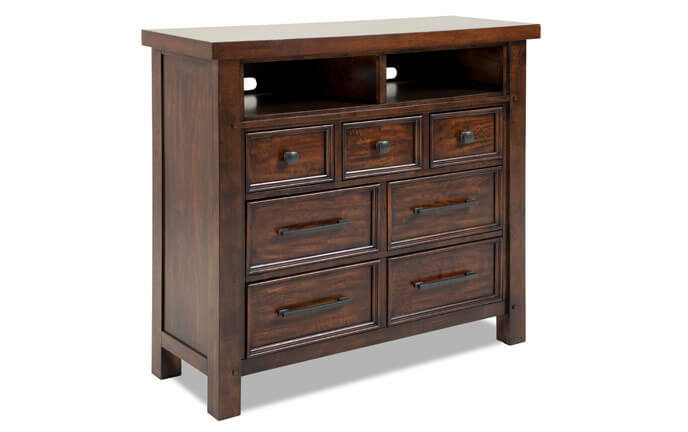 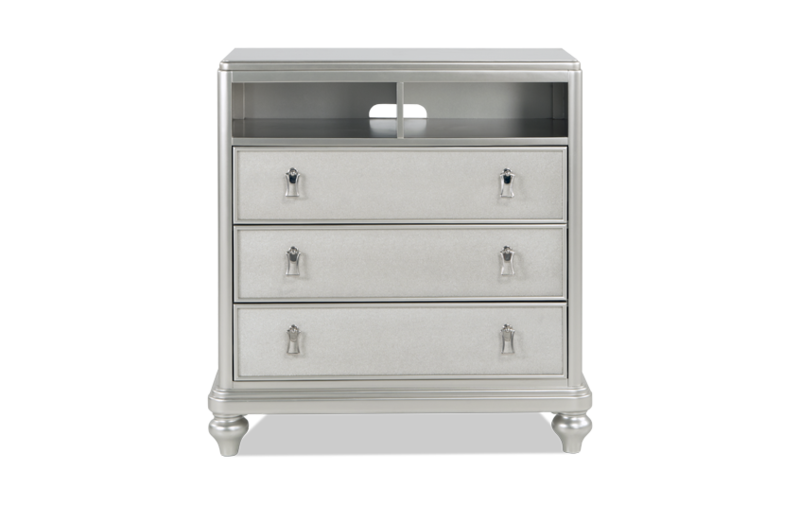 My Diva II TV Chest is an untouchable value loaded with glam style! 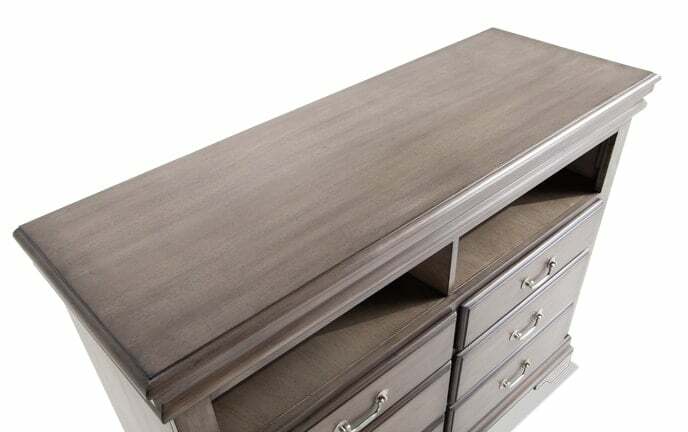 The three spacious drawers give loads of space for media storage and accessories, as well as an open shelf for different media components. Plus there's the attractive platinum finish and the elegant hardware that seal the deal!